What’s the classic behavior of the technologically-oriented being of today? Finding lightning-fast solutions to dynamic problems in a matter of seconds. How is this even possible? Well, there are online search engines in a place, which caters to people’s thirst for knowledge. If there’s an issue bugging them, they’ll search through the online engine, and find what they’re looking for. Don’t know how to bake a pasta? Google it. Can’t remember a lyrics of the song? Google it. Looking to set up internet in your new home? Google it. It’s THAT easy. The internet really has revolutionized everything, after all. Just think about how you got here right now. You probably typed “SEO guide” or something similar in the search bar, and then saw a whole list of websites, ranked by relevance, from which you selected this one. Did you wonder how those websites got there in the first place? Did they have to fight their way through a thousand other websites just to find a place on the first page? Is making a website and just hoping to be featured on Google enough? No. Just making a website is not enough. Nobody is going to type your exact name into their browser after seeing it in their dream first. You need to make yourself visible, struggle to come above the sea of similar waves, and market your site like brands do in non-virtual life. For instance, think of the popular coffee shop nearest to you, and try to visualize the amount of profit it generates every day, just from this one neighborhood. Imagine it going online too, and expanding its coverage to international waters. Think of the sales involved! This is what online marketing does. So how can you market YOUR brand online? You may have an electronics business, blog, magazine, informational website, etc. Whatever it is you have, we can justify the need for marketing your product. When you launch your brand in the real, offline world, you need a marketing team to let the world know that you have something to offer, either with the intention of signing clients or just to build buzz. Some businesses will throw a lavish launch party; others will simply put out a press release to the media. The core reason remains the same: they want public attention and leads to help their business grow. Contrary to that, when you make an official website for your business, the virtual world presents completely different challenges and scenarios when it comes to letting the world know about your brand. In our modern world, brand websites exist not only to back the business but to be the main source of revenue in many cases. Google, Uber, eBay, Alibaba, Amazon, and Netflix are renowned internet-based businesses and are worth more than $90 billion when put together. In comparison, that exceeds Bill Gates’ net worth of $88 billion. Social media gives you the opportunity to get the right attention by choosing the demographics, interests, and various other specifications which help you carve your target audience. However, while you can divert your social media traffic to your website, it’s an impermanent strategy. It will work only as long as you are posting content on social media. The day you stop sharing your content, the traffic will reduce drastically. Therefore, social media remains one of the various sources through which you redirect traffic. 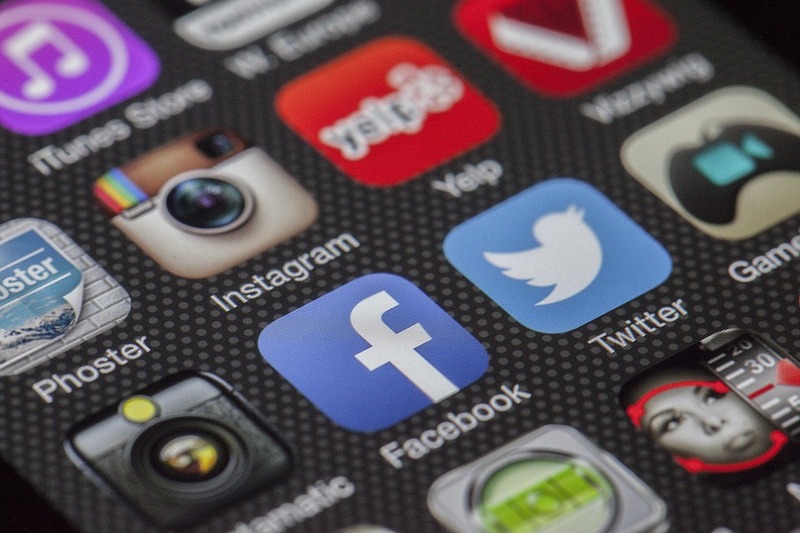 In many scenarios, social media could be the second most important source of traffic. In more select scenarios, it could be the primary source. But again, as soon as the social media posts reduce, so will the number of visitors to your website. The best source of traffic is, and always has been, search engines like Google. This is precisely why you need search engine optimization (SEO) to effectively and organically market your website. Words hold an unspeakable power. Whether they are conveyed through text, music, or art, they are meaningful vessels which can make you or break you, depending on how you take them. Whenever people are roaming online, they are looking for answers, and great content provides these answers. It allays their worries, educates them, entertains them, introduces them to new ideas, and makes them cultured beings altogether. Where is this content located? It’s everywhere online. Usually, websites have content that describes their brand in an original way, shows how everything works, pitches what it offers, etc. The key is to make it intriguing enough to capture the attention of users from the search engine, and to keep it interesting enough for the readers to stay on the page until the very last sentence. Most users do not go deep into the results. It’s rare for anyone to go past the second page. Getting those few websites to the top of the results is not magic – it is a combination of effort, strategy, and most important of all, great content. A website with relevant, high-quality content is more likely to appear on the first few pages of results when someone searches for a certain term. Whatever people type in the search bar is called a keyword. It’s one of the foundational blocks of SEO. Google lists all the websites which host a particular keyword. For example, “bake a cake” can be a keyword, and only those websites which have this keyword organically in their content are returned to the user. That is why the presence of a keyword, or a bunch of related keywords, in the content is mandatory. • Informational keywords – Keywords looking for specific information (most suitable for Google Adsense). • Transaction keywords – Keywords that can be bought (best for affiliate marketing). • Navigational Keywords – Keywords that indicate the user is performing a navigational search. For example, when a Comcast Xfinity internet user types in a company or brand name, they are already aware of the brand or product; they’re just looking for the correct URL. Thus, proper keyword insertion in the content and the page’s source code enables Google to recognize the website, resulting in higher rankings. Beyond this, the content itself has to be informational and very well-written. Not base or duplicate, but unique and original. Length also matters. According to latest finding, it makes the content “mobile-friendly.” Loading speed is also a factor, along with the website’s interface, and so much more. With this guide by your side, you can begin your upward journey towards a better Google ranking. As long as a problem exists, people will be driven to find a solution. That is why they head over to Google, even for the tiniest issue. This establishes its eternal standing as an information conveyor and a knowledge redirector. It’s like a genie that gathers up the impossible and presents it on a plate. So if you want your business to grow online, then you need quantitative and qualitative encouragement from Google. The special ingredient for that? SEO. SEO is fundamental for maximizing the traffic to your website by improving your rankings on search engines. That presence on search engines can be earned organically through SEO. What does “organic” mean? It means without payment, and through the use of unique, valuable content. SEO is true to its name: it is the practice of optimizing a website to be more search engine friendly. As such, understanding how search engines work is crucial for mastering SEO. Search engines use intricate algorithms for their rankings, and these algorithms are subject to change, and they indeed change often, at least in small ways. Therefore, SEO guidelines are variable and depend on multiple dynamic factors. 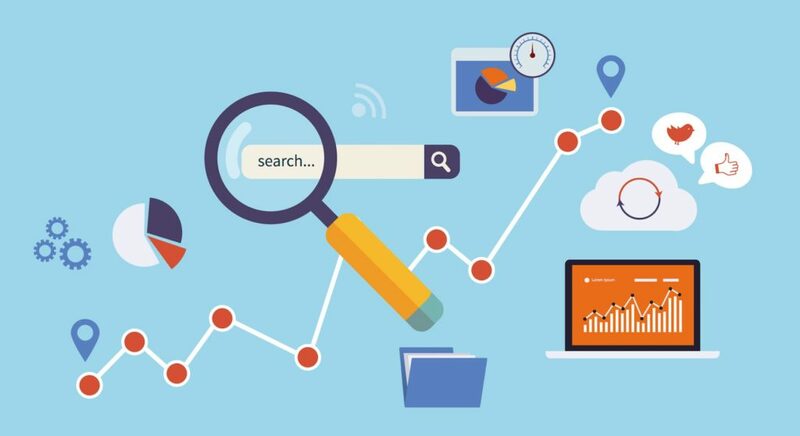 SEO requires thorough research, particularly in regards to indexation, duplicate content, content scrapers, updated keyword rankings, search engine results page (SERP) listings, and link prospects. Don’t let this technical jargon overwhelm you. The basics are pretty easy to cover. You can totally optimize your website in a way for it to rank better. The question is how. What can you do to tailor your website in an SEO-friendly way? On-page optimization–also known as on-page SEO–includes all measures that are taken directly within your website in order to elevate its position in the search rankings. On-page refers to both the content and HTML source code of a page that can be optimized. off-page SEO, on the other hand, refers to links and other external signals. Off-page SEO tactics include link building, which is the process of getting other websites to link to an optimized page on your website. It’s like getting a vote from a higher authority, which instantly makes you favorable in Google’s eyes. The more votes, the better. Backlinks are crucial to ranking your website. Backlinks are links that transport the user to an entirely new domain, not just a different page on the same domain. They can come in different forms, like an image or text. If an image is being used for a link, the anchor link text is the alt tag of the image. All this is well and good, but what matters most of all is the content of your website itself.